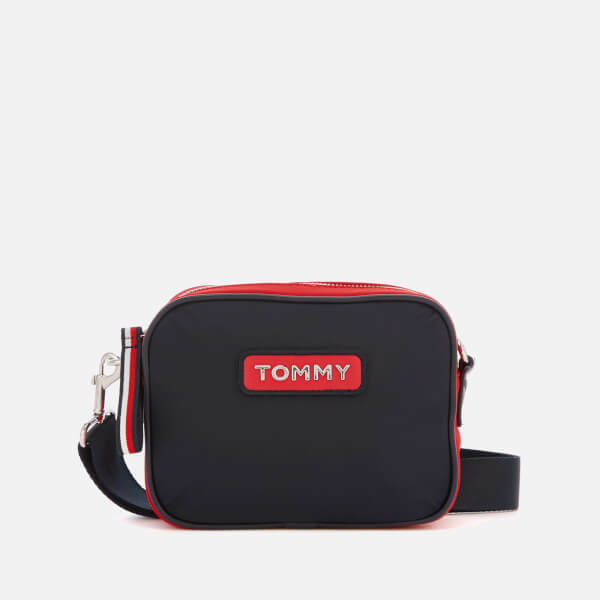 Tommy Hilfiger crossover bag with a compact design. Crafted from durable nylon fabric, the navy ‘Varsity’ bag is designed with a Tommy Hilfiger logo patch on the front. 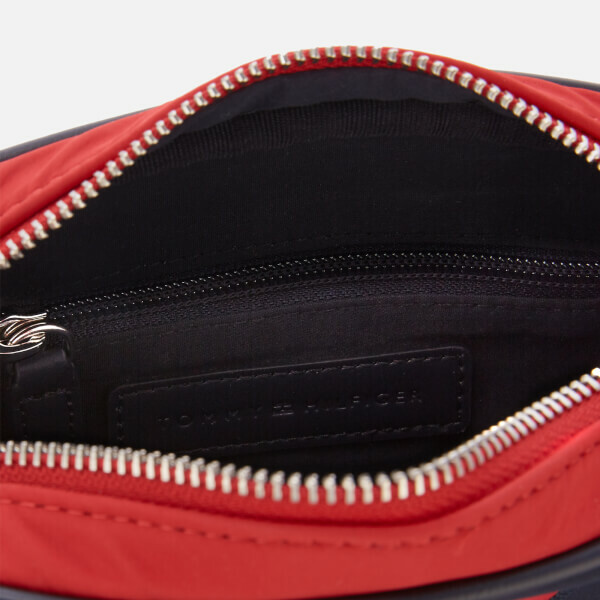 The lined interior features a zipped pocket and a debossed logo patch. 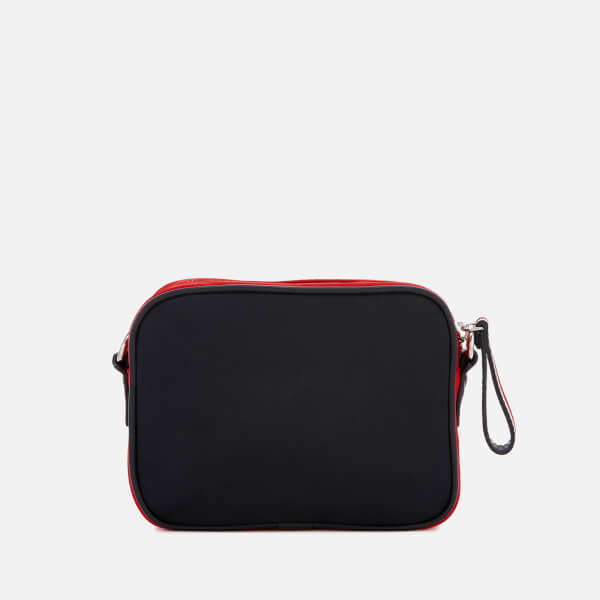 A detachable shoulder strap enables the bag to be worn cross body or used as a pouch. Silver-tone hardware and a signature flag tape zip pull completes the design. Dimensions: H: 14cm x W: 18cm x D: 4cm. Strap Drop: 62cm.